EZ-Spray® FlexFoam Product Information | Smooth-On, Inc.
EZ~Spray® FlexFoam is a flexible polyurethane foam compound that can be conveniently sprayed using Smooth-On’s EZ~Spray® Junior System. 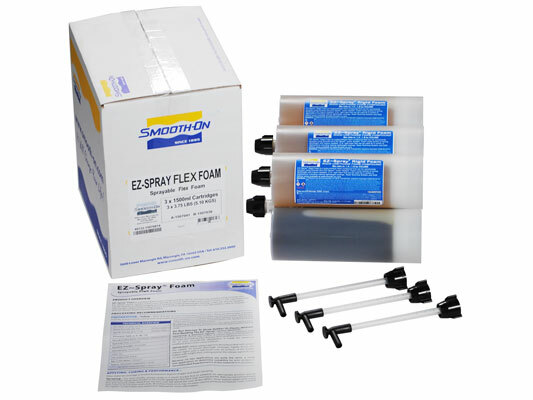 EZ~Spray® FlexFoam consists of two liquid components in an EZ~Spray® cartridge. When combined in a mixing ratio of one to one by volume, EZ~Spray® FlexFoam quickly cures to a solid, lightweight and durable 7 lb. (approx.) 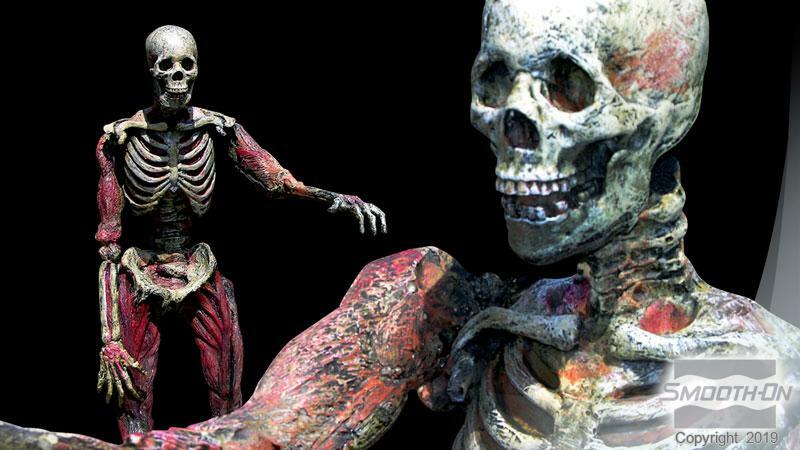 flexible foam, that can be used for a variety of special effects and industrial applications. Refer to Smooth-On’s EZ~Spray® Junior manual and video before using. Applying A Release Agent - This foam is adhesive and will stick to almost any surface. A release agent is necessary to facilitate demolding. Ease Release 2831 (available from Smooth-On or your Smooth-On distributor) is made for releasing urethane foams from most surfaces. Curing - EZ~Spray® FlexFoam will cure quickly and can be handled or demolded in about 15 minutes at room temperature depending on mass and configuration. 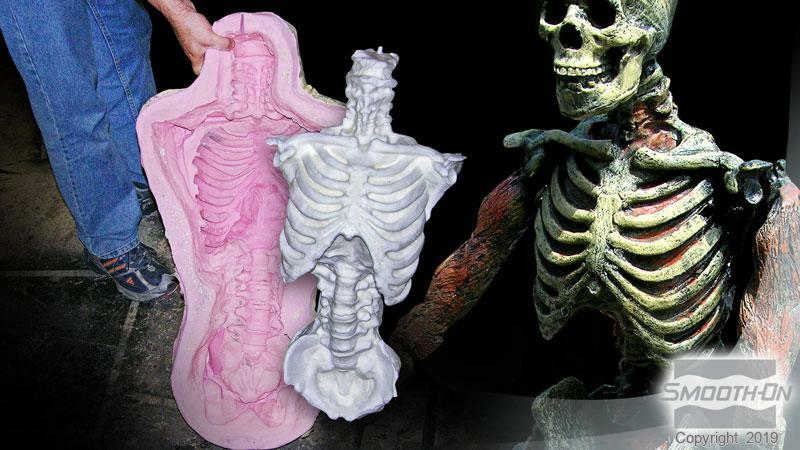 Performance & Storage - Cured castings of EZ~Spray® FlexFoam are flexible and durable. They resist moisture, and can be primed/ painted or bonded to other surfaces (any release agent must be removed). If machining cured EZ~Spray® FlexFoam, wear dust mask or other apparatus to prevent inhalation of residual particles. 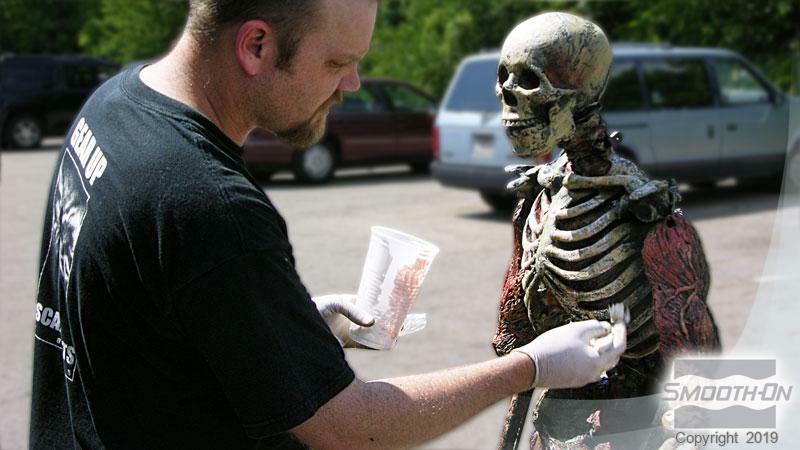 Unpainted castings will yellow over time—more quickly when exposed to ultraviolet light. Flexible foam pieces for display should be supported with a rigid support structure.